Design, branding and ‘nailing’ the creative element of your marketing and communications can be the difference between as successful campaign and a failure. If you think design isn’t important, take a look at this. An example so effective at portraying why good design is so vital, that we need say no more. 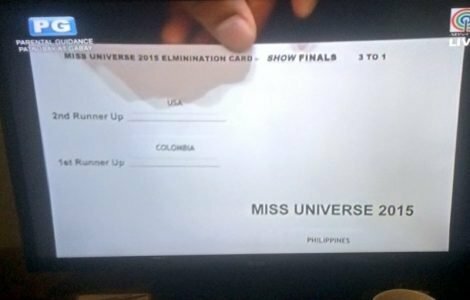 Below is the almighty design cockup that resulted in Miss Universe’s presenter announcing the wrong country’s ‘beauty’ as the winner. 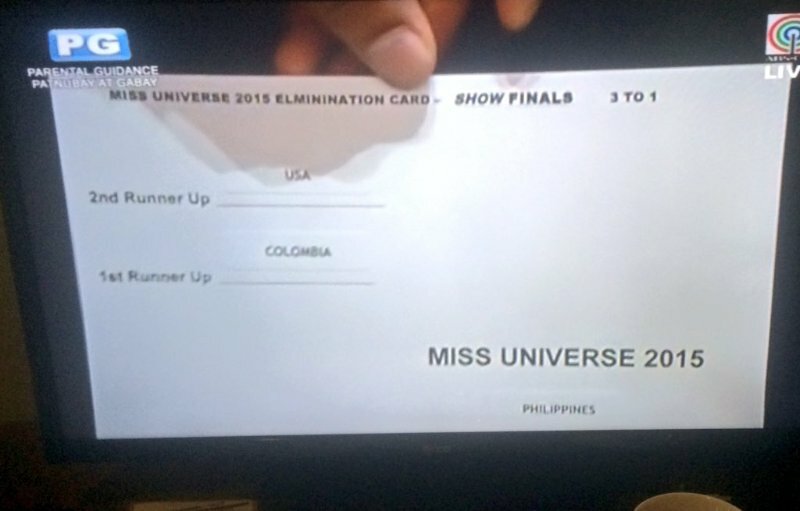 It’s little wonder the Miss Universe presenter made a mistake and announced the wrong winner. This design could have been created much more simply and the whole embarrassment avoided. Even a list of the winners and runners up in order of one, two, three would have been simpler! Now we’ve all had a laugh at that, take a read of our design tips to make sure your business branding and design is on song. Create a document for all members of staff and outsourced teams to stick to. This should include fonts, colour schemes, spacing between letters and words, opacity, rules on logo backgrounds and colours. Essentially, a rule book for your brand, to ensure the waters are never muddied and your brand image is in your control. Decide on your colour scheme and design and create something impactful. Often the best designs are the simplest. Think Apple, Nike and even our own brand, GOAT. Each brand has a clean, crisp image and uses few colours / neutral tones. That’s not to say that you should avoid colour, in fact, check out this handy article, which discusses the psychological impact of different colours in marketing. Are you designing for print, or web? Web graphics should be created using an RGB colour palette at 72 DPI, whereas print design works using a CMYK colour palette and 300 DPI. If loading images onto your website, make sure to ‘save for web’, to improve page load speed – one of the factors that search engines take into account when ranking your sites. If creating an image that’s going to be enlarged, ensure it’s a vector image. Unlike JPEGs, GIFs, and BMP images, vector graphics are not made up of a grid of pixels – meaning they don’t pixelate as you enlarge them. Don’t mix your fonts, colour schemes, sizing, design style up across your marketing collateral. A consistent brand image will make you memorable. One that is all over the place will make you instantly forgettable, unprofessional looking and any other negative you can think of. It’s tempting to whip out Microsoft Paint and ‘give design a bash’ yourself. Don’t. As much as you think you’re the next big designer, it’s doubtful you will be – plus you’ll take a lot longer to come up with a memorable design than a professional designer would, making ‘giving it a go’ a false economy. We hope you found our quick-fire design and branding tips for businesses useful. To find out more about GOAT’s design and branding expertise, click here. What other design advice would you give to those looking to rebrand, or create a brand from scratch? Leave a comment below – we love to hear your thoughts and opinions.